MOSCOW – Sept 6, 2013: MMC Rus, Mitsubishi Motors Corporation's (MMC) official distributor for Russia, has delivered 70 units of the all-electric i-MiEV to the Presidential Administration of the Russian Federation. The zero-emission vehicles will be used as the official VIP transport vehicle for the Group of Twenty (G20) Leaders' Summit (September 5 & 6) and will serve as a method of transportation for top visitors of G20 delegations within the Konstantinovsky Palace, the venue for the talks in St. Petersburg, Russia. 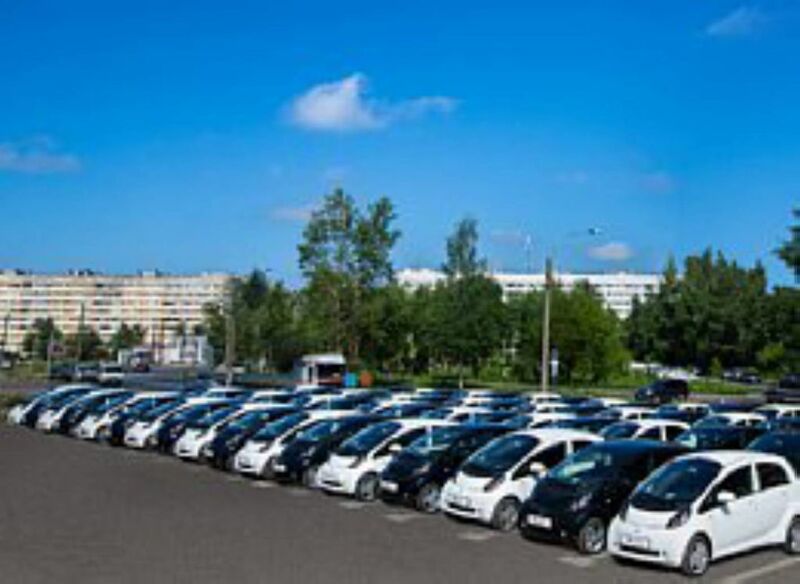 Adoption of the i-MiEV by the Presidential Administration of the Russian Federation marks the first time the Presidential Administration has adopted an all-electric vehicle (EV) into their governmental car fleet. Besides being the first to supply electric vehicles to the Presidential Administration, MMC is also the first Japanese maker to supply official vehicles to the Presidential Administration. The adoption of the i-MiEVs underlines Russia's positive attitude towards new technologies in the automotive industry. It also acknowledges the proactive strategy MMC Rus developed and implemented to support zero-emission vehicles in Russia. With this success MMC aims to continue to work closely together with the Russian government to contribute to reducing CO2 emissions, increasing energy efficiency and fostering the overall EV market in Russia. MMC is the first automobile maker to sell mass-produced EVs in Russia. The i-MiEV was first sold in Russia through MMC Rus (at the time "Rolf Import") in 2011 and approximately 200 units have been sold as of Sept 2013.